The Morley House is one of our Painted Ladies. This house lends itself to many different colors. 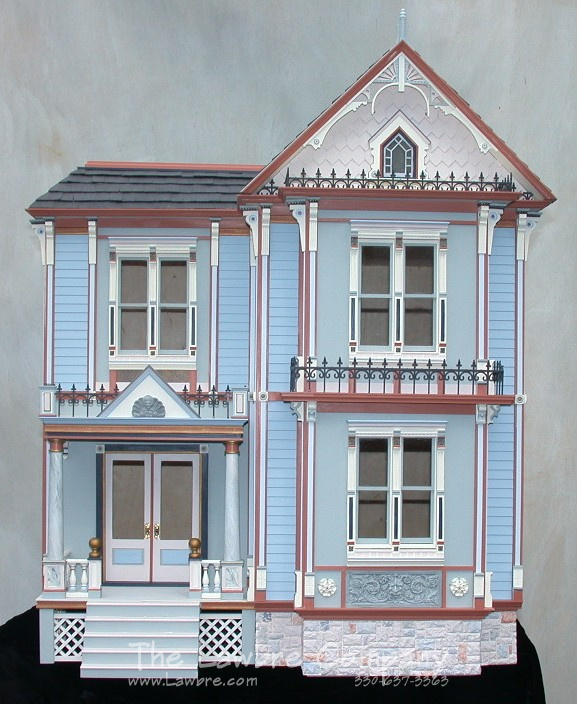 Our Painted Ladies are San Francisco Stick/Eastlake with all the authentic adornments. 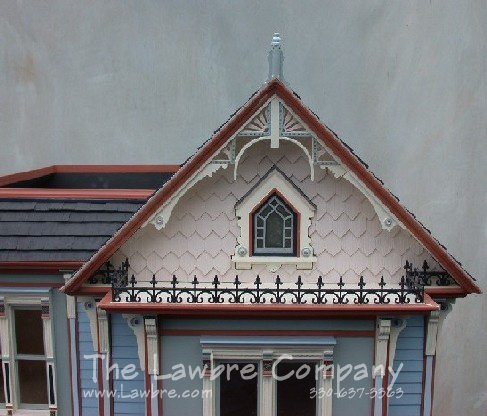 These houses also work well for anyone that has limited space for their miniature house. The Morley has two floors (with eight rooms) plus an attic, and it measures 28" wide x 33" deep x 34" high. This house is available either as an unfinished shell or finished completely on the outside. Call for pricing. Here, we are using our vergeboard and extensions on the peak of the Morley House.